Quickly record screen and upload tutorial videos to courses online. If you are confident enough to share your knowledge with others using online courses or you want to access some learning platform online to sharpen your skills, in both cases it is much easier to fulfill your requirement via internet. Presently there are so many websites working as online interactive learning platforms same as Udemy.com. If you want to be an instructor then you can earn money from these online courses and being a learner you can grab best information for free or with very less fee payment. It works like an interactive community market place for sharing skills and knowledge. Instructors and learners can make easy selections from wide variety of courses available on this platform. The course material is offered in video format whereas the membership cost is only $9.95 per month. If you want to join classes without member ship then you need to make payment between $20 or $30. Udacity gives a strong attention to technical community and serves learners with various well crafted and easy to understand courses. 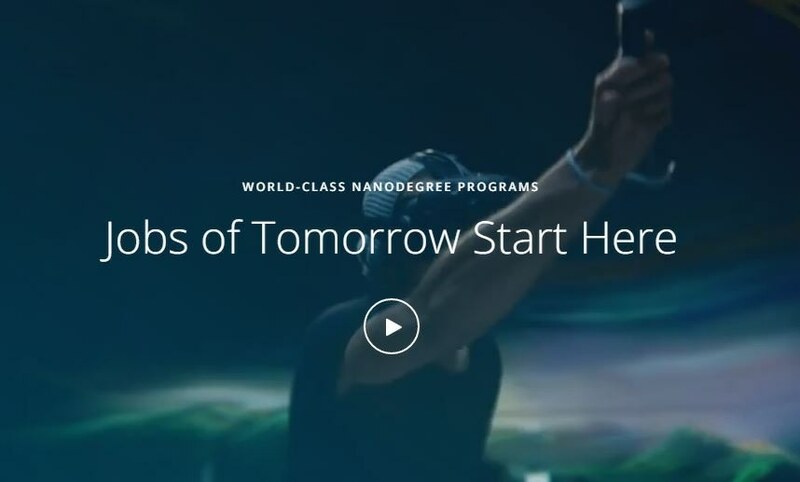 One of the most impressive course materials of Udacity is related to Data Science field so if you are ready to join the high ranked career opportunities with data science skills then it is good to enroll fast with Udacity platform. You need to make monthly payments for all courses. 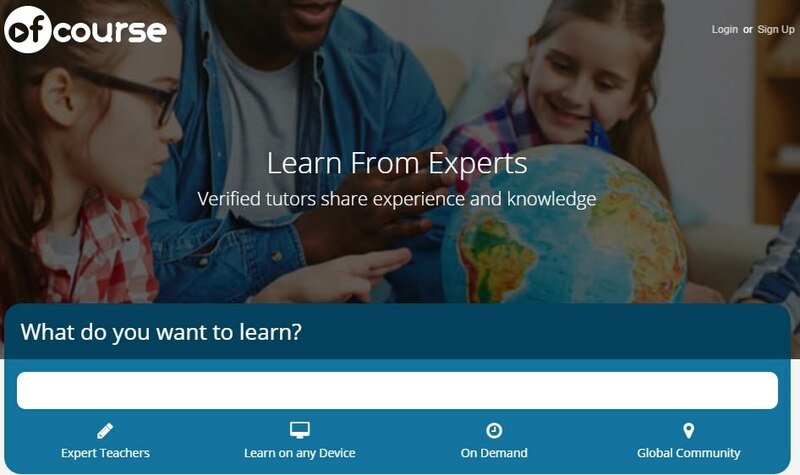 With Lynda.com online learning platform you can access subscription based courses in video format and they are saved to tutorial library of this site. If you are a visual learner then Lynda.com is best platform for you with reasonable free ranges that cost up to $25/month. 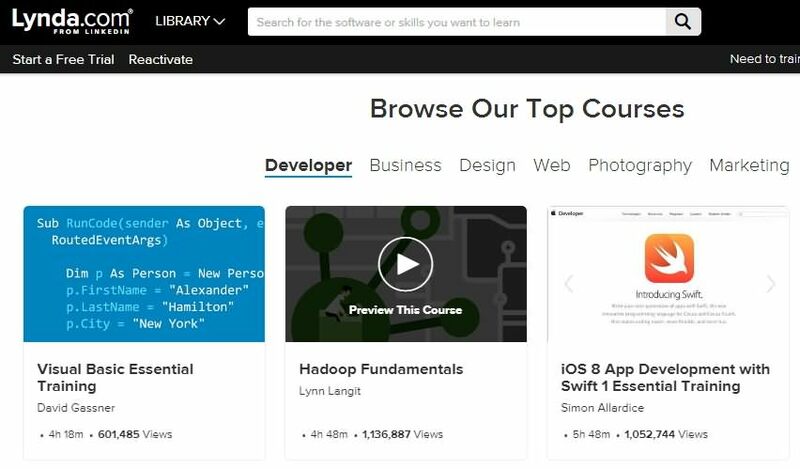 Once you are able to get membership access to Lynda.com then you will be able to stay tuned to about 80000 videos along with wide range of subjects. LearnWorlds is an all-in-one online course platform which offers all the features you need for creating and selling your online training courses. 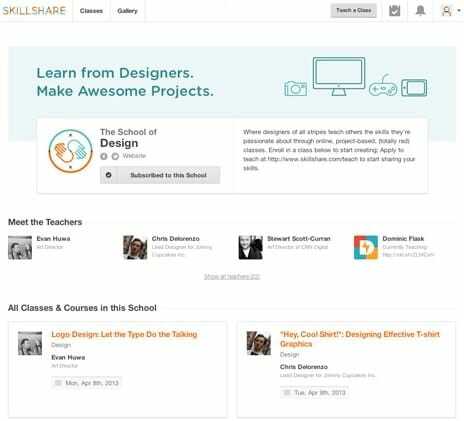 Although a premium learning platform, it is extremely easy-to-use. LearnWorlds provides interactive video player, interactive E-book reader, advanced quiz and assignment capabilities and social learning, and it also puts a lot of attention to its Page Builder which allows you to create beautiful and impressive landing and sales pages. You can sign up and test it out. There is a 30-day free trial available which allows you to create and publish courses without a credit card, and you can also upgrade at any time to one of the available online school plans: Starter, Pro trainer, Learning Center and High Volume. There is no free plan, and the Starter plan is $29 per month ($24 if billed annually), but the company charges $5 fee per course sale. Their most popular plan is the Learning Center plan which cost $299 monthly, but with no transaction fees. 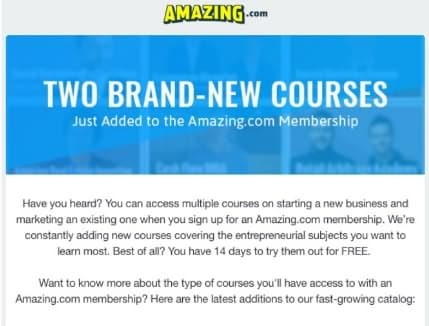 All the courses at Amazing.com are crafted in easy to understand manner with step by step instruction format. Beginners as well as professionals can learn easily from these easy to follow tutorials. This website is designed for business world basically as it teaches learners the skills to develop and manage business. If you want to become a successful entrepreneur then Amazing is best platform for you. There are lots of things to learn at Ulearning platform and being an instructor you will also get best experience in training others with Ulearning. Users can join classes at their own time schedule for each and every day. This website is also preferred by business developers to get best guidelines and skill development classes. 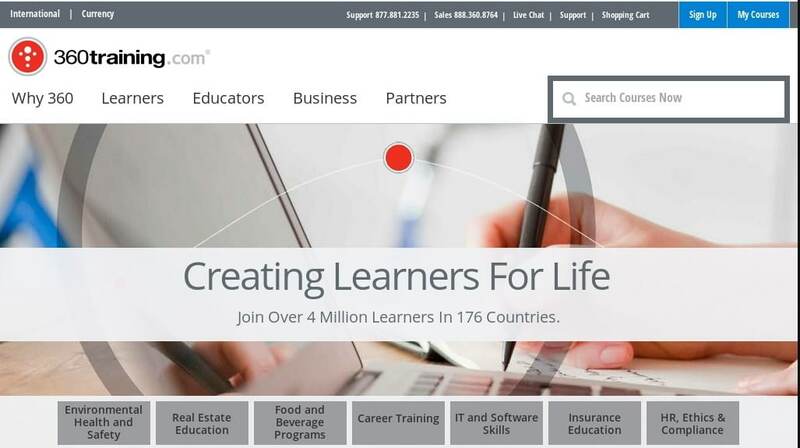 Presently, more than 4 million learners are connected to 360Training platform and they are connected from almost 176 different countries. Here you can work upon almost all varieties of courses like HR, ethics, Insurance Education, It/software skills, career training, food/beverages programs, real estate education, health-safety and environmental education. Price range for different courses use to vary. Educators at 360learning space use to provide trainings with live classroom environments so that students can have interactive sessions. It helps them to learn more and more while trainers get opportunity to provide best solution to all queries generated from student sides. It offers classes in almost all popular career fields of present generation so no matter in which field you are interested to pursue your career, OfCourse online learning platform will provide you best services all the time. Course materials are designed in very interactive manner and instructor are always curious to teach students with advanced technologies in order to boost their understanding as well as interest in classes. No matter from where you belong if you want to share your skills with people throughout the world then it is good to contact OfCourse professionals and join your membership as soon as possible. Those who are interested in marketing side can utilize best experience at MobeMarketplace with various professionals. The instructors at this platform use to generate user friendly content with impressive use of advanced technologies and softwares. 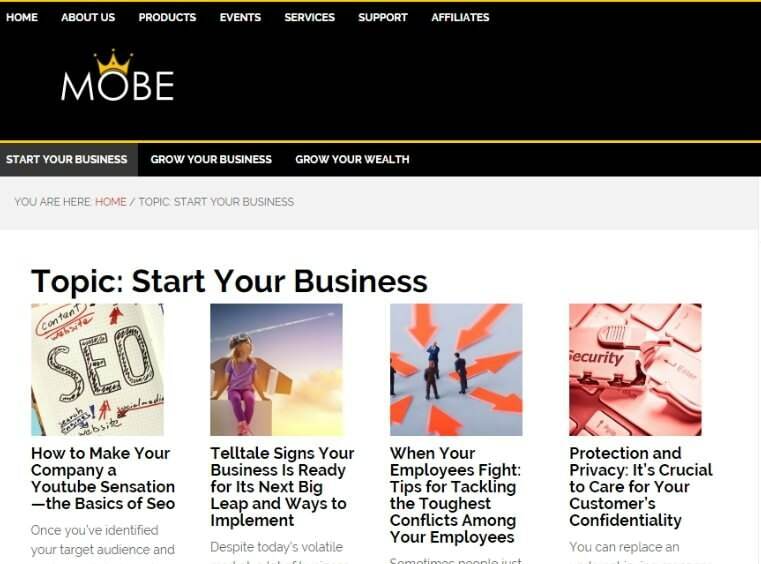 Some of the most popular courses offered by MobeMarketPlace are Internet Marketing, Sales and Persuasion, Traffic management, Email Marketing, Info Marketing, Productivity, Affiliate Marketing, Wealth Creation and Business toolkits. You can connect to this learning place from any corner of world and start training students with your skill set in any of the above fields. Web designing is one of the popular career fields these days and most of youngsters wish to join jobs in this area. But one needs to improve his/her skills in web development to create user friendly systems. 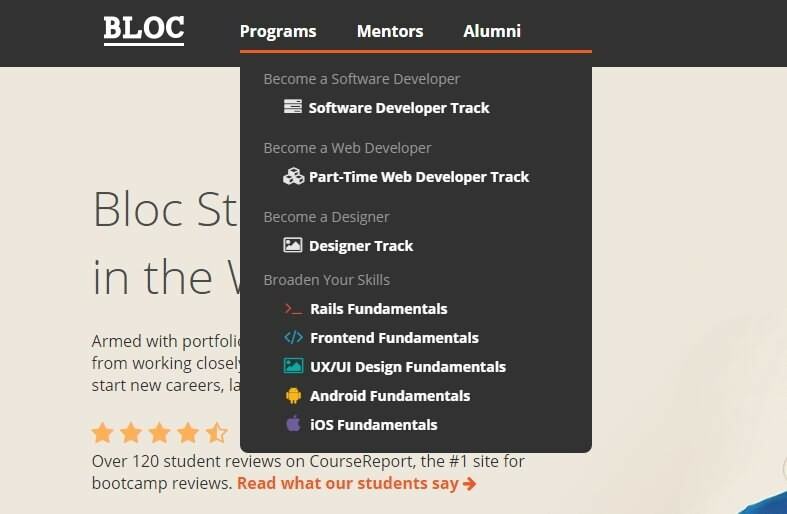 If you are not able to get any trainer in your area then it is best idea to switch to online learning platforms like Bloc where you can become a well experienced developer even within six month duration. You need not to sacrifice your current job to learn these skills rather you can join this space on part time basis and start learning new tactics day by day. Bloc is popular for offering trainings for well experienced and interactive mentors that can help you understand all facts with ease. The classes can be managed on week to week basis and learners will be able to get one to one attention from trainers. 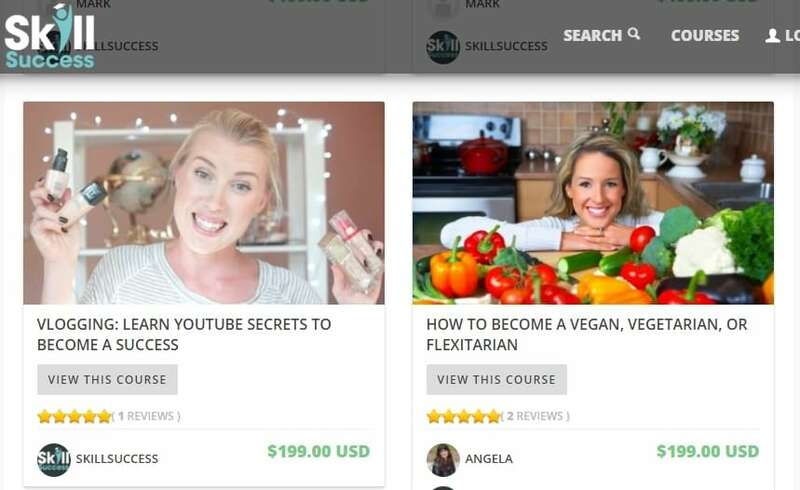 Above are the online course selling websites that we found alternative to Udemy, we hope it is helpful for you when choosing your course selling platform. If you are selling course on the platform that we didn’t include, share with us in the comment below. Wow... this is such a weird list. There are legit companies like CreativeLive and Plantoost that aren't even on the list.